She received her Ph.D from Boston University in 2005. Until 2017, she served as deputy director of the Center for Science and Society and lecturer in the graduate programs in Architectural History, Middle East Studies and Eurasian Studies at Middle East Technical University, Ankara. Her research interests include cultural heritage management of minority religious heritage and multi-layered sacred sites, ethnographic investigations of historic religious buildings, re-utilization and museumification of religious heritage. She serves as a member of Association for the Protection of Cultural Heritage, which focuses on saving minority religious heritage in Turkey. 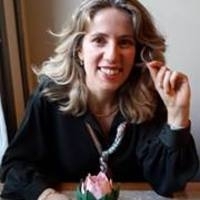 Tanyeri-Erdemir’s publications have appeared in peer-reviewed journals, and her co-authored book Antagonistic Tolerance Competitive Sharing of Sacred Sites and Spaces was published by Routledge in 2016.